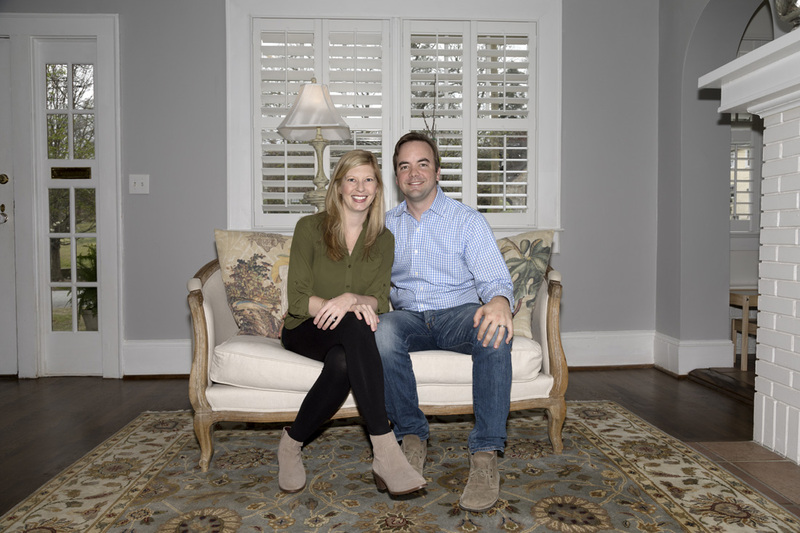 When Andy and Kristen Givens decided to move from Brookhaven, they knew they wanted to find a house that would be centrally located to both their jobs—Andy’s in IT with AT&T and Kristen’s in marketing with Cox Automotive. 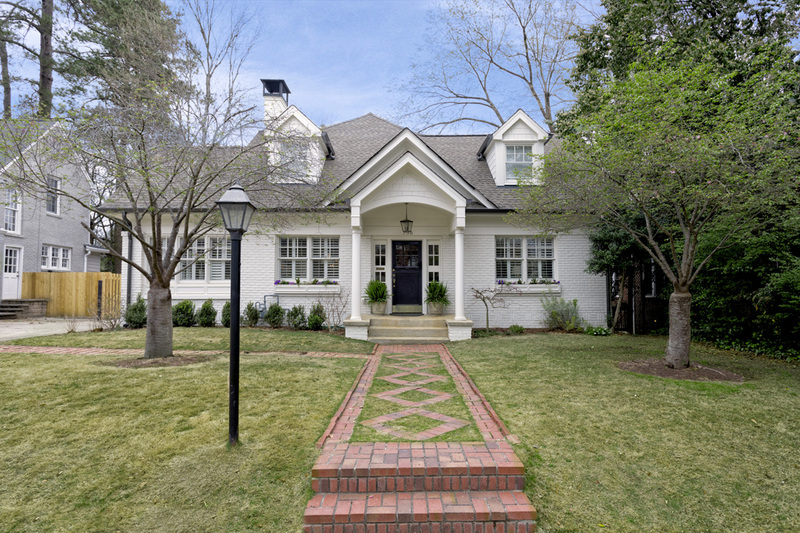 The couple focused their search on the Morningside-Lenox Park area because they liked the community, the character of the homes and the history of the neighborhood. But when they found the 1945 bungalow that would eventually become their home, the couple was far from on the same page. Originally, the home contained 2,600 square feet that included a series of small rooms: living, family, dining, kitchen and master bedroom, plus a full basement. Andy’s office was relegated to the enclosed sun porch off the living room, the kitchen contained the laundry room, and the family room was a small space to the right just inside the front door. It wasn’t much for a family of four, especially with the couple’s young children, son Davis, age 3, and daughter Clara, born just after the renovations were completed and now 8 weeks old. The new kitchen is perfectly suited to Kristen’s love of cooking and Andy’s love of entertaining. Also during the renovation, Andy moved his office from the enclosed sun porch—now a playroom for the kids— to the former family room. Upstairs, the couple added additional space for Davis’s bedroom with a full bath plus another playroom. As a result of these changes, they also were able to raise the nursery ceilings from 7 feet to 8 feet, removing an awkward angle in the ceiling and providing more space. The dining room deftly blends traditional furnishings with a modern backdrop. Throughout the renovation, both Andy and Kristen worked to keep the original aesthetic of the home intact while introducing more modern touches. “I like some of the older things—the unique things—that we’ve kept that show the character of the house, like [Andy’s] office doors, the downstairs bathroom (which was left untouched) and the arched doorways,” Kristen says. Likewise, the front porch has arches, and the couple replicated that design when adding the back porch. “We also kept a lot of the wrought iron touches to keep the same feel throughout so it doesn’t really feel like an addition,” Andy says. The home’s furnishings contribute to that transition from traditional to more modern. For example, the living room contains traditional chairs covered in Belgian linen from Restoration Hardware and a Ballard Designs settee along with an Oriental rug. The dining room features a large, dark wood dining table the couple purchased at Scott Antique Markets just after getting married in 2011. It’s accompanied by a large alterations cabinet that was a wedding gift from Kristen’s parents. 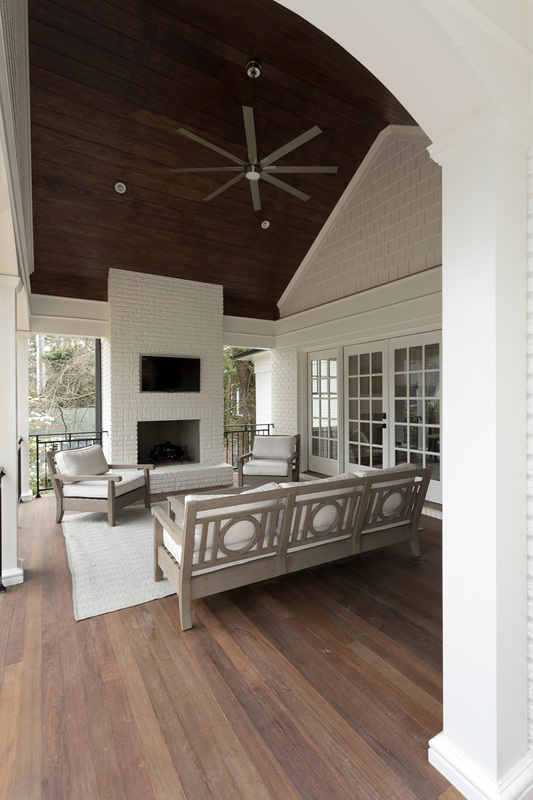 For the new addition, Andy and Kristen enlisted the services of Jamie Krywicki Wilson of Krywicki Interior Design in Atlanta to assist with décor. In the family room, Wilson selected a leather couch from Restoration Hardware and partnered it with blue chairs from Ballard Designs, a wool blend Dash & Albert rug and a 65- inch TV. She also chose the kitchen table, which is from Restoration Hardware, as is the large, 19th-century English lantern light fixture above it. 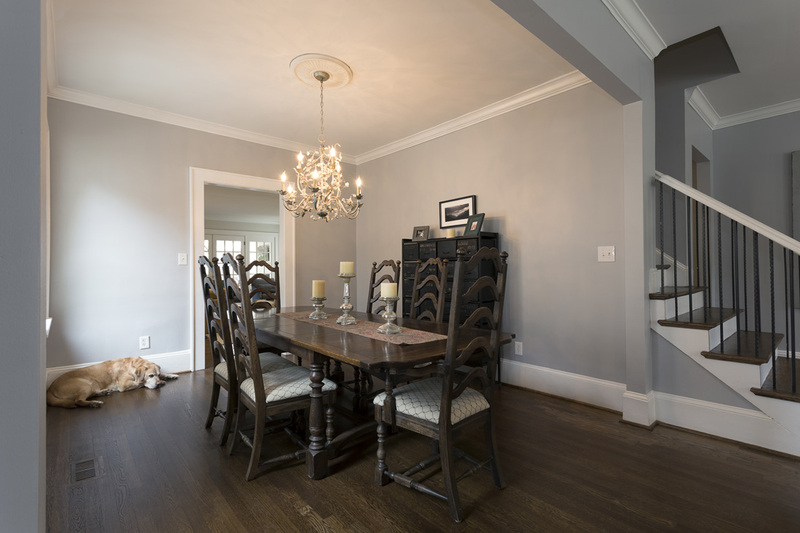 The gray color palette, which Wilson also helped with, further enhanced the transition from traditional to modern, blending everything together throughout the home. The couple also refinished the original hardwood floors, opting for a darker hue than before. “I think [the overall aesthetic of the home is] clean and modern but keeps the traditional feel of the house,” Andy says. The new back porch provides additional living and entertaining space. Both Andy and Kristen are thrilled with the outcome of the renovation. 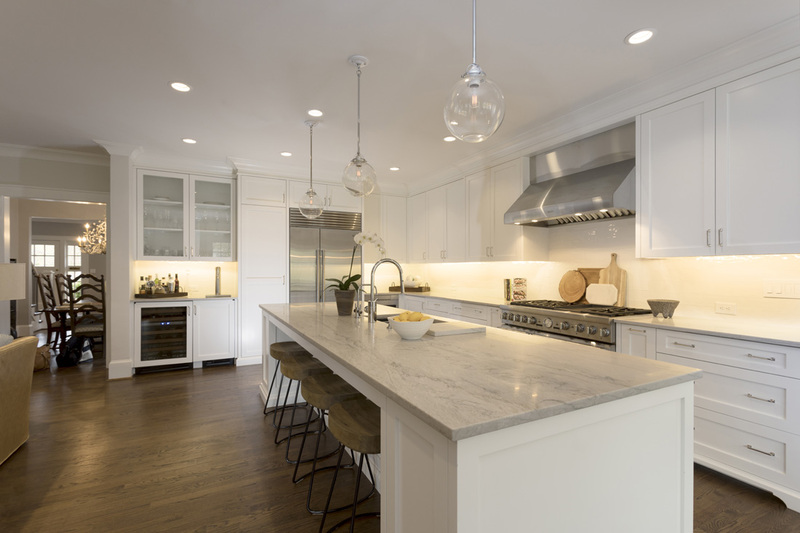 In a time when many homeowners in and around Morningside-Lenox Park are choosing to tear down original homes and rebuild with something bigger and more modern, the couple is happy to have more space without sacrificing the original construction of the house. “I think to have this floor plan in this neighborhood and not have a brand-new house is probably in pretty exclusive company,” Andy says.